In the previous five years, buy-to-let has seen the impact of huge property price increases. THERE HAVE BEEN legislative changes, new tax treatment and deep economic uncertainty across the country. New research reveals that it’s the over-50s who will help keep the buy-to-let market buoyant, with one in ten people (13%) aged 50 or over likely to invest in property after they retire. This could create 1.3 million landlords who consider property a safe bet when the time comes to access their pension wealth. Key reasons for considering buy-to-let include the prospect of capital growth, as well as providing a regular income (50%) or to boost income in retirement (44%). A third of the over-50s (36%) think property is a safer place for their money than investing in stocks and shares. A similar number of people (35%) also think it provides better returns than leaving the money in their pension or putting it in the bank. Some over-50s (22%) have already experienced success at being a landlord, while 18% said they were interested in residential property and would enjoy the process of rental management. There are a number of things to consider before embarking on a career as a landlord. First and foremost, a pension is designed to provide an income in retirement, which is usually done either through drawdown or an annuity. 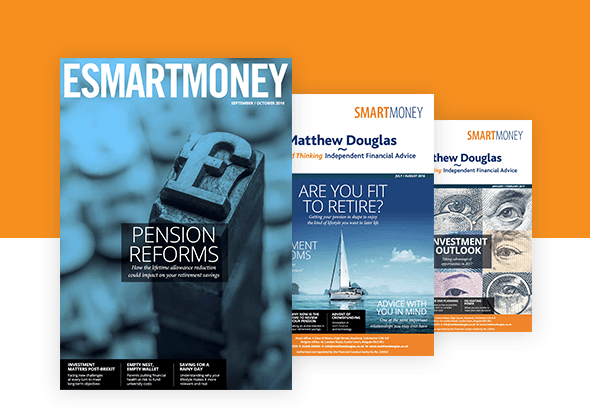 People will need to think long and hard before withdrawing significant sums of cash from their pension, as any withdrawal over the first 25% is subject to Income Tax. If your main priority is to generate an income, then the rental yield from the property may not provide the income you expect. Don’t forget you will also have to manage the property, or pay someone to do this on your behalf. With most people’s main asset being their home, the old adage of having all of your eggs in one basket has never been truer when it comes to pensions and property. A diversified investment portfolio is more likely to deliver the retirement outcome you planned. Ultimately, the choice of whether or not to invest in a buy-to-let property or portfolio depends on your goals. It’s worth remembering that there is a consensus that the private rented sector will grow, in whatever form, very significantly. A recent survey from Knight Frank suggests that as many as one in four Britons will be renting by 2021. If you think strategically, buy-to-let could therefore still represent an appropriate investment opportunity. Research was conducted by Censuswide between 28/06/2017 and 29/06/2017. Online interviews were conducted among 1,005 people aged 50 and over, yet to retire, who have some form of private pension savings. Retirement Advantage calculation using ONS population data of over-50s.